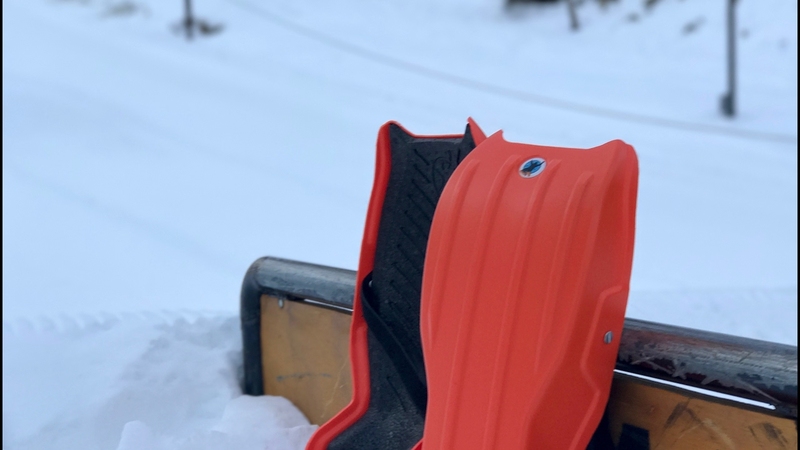 Sled Legs are a brand new way to have fun on the hills. Individual sleds strapped to your legs give you extra control and the ability to walk up the hill hands-free. The impact absorbing foam protects your knees and provides a more comfortable ride. When you reach the bottom, just stand up and run back to the top. Nothing to clip-into or lug around, you simply strap them to your legs and keep on sledding. If the estimated ship time seems a bit long, it's because many items are shipped in bulk at the end of the sale (on Nov. 13), which is what affords you the discount. Some items are also made-to-order and/or are shipping internationally. The best things are worth waiting for!